TAG Heuer’s new smartwatch is here. The first connected watch that is 100% digital and Swiss made, the TAG Heuer Connected Modular is all about personalisation with its new modular design. 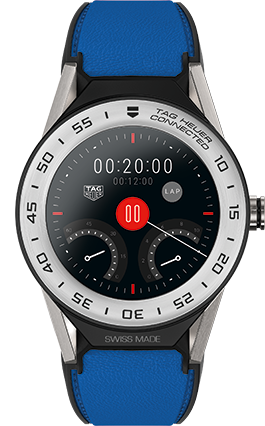 This new model has many of the original TAG Heuer Connected features, such as specially designed chronograph counters showing information relevant to your app activity, voice command “OK Google” with a microphone at 3 o’clock, digital notifications straight to your wrist and access to thousands of different apps. The TAG Heuer Connected Modular comes in two case sizes, 41mm and 45mm. Even with all these impressive updates, the TAG Heuer Connected Modular is first a watch and always a watch with the design staying true to iconic TAG Heuer style. Be #ConnectedToEternity with the TAG Heuer Connected Modular. Book an appointment at one of our TAG Heuer stockists and our expert advisors will guide you through the TAG Heuer Connected collection.